I am forever confusing gibsons and gimlets. Gimlet! Preferably the French Gimlet, which has elderflower liqueur along with gin and lime juice. 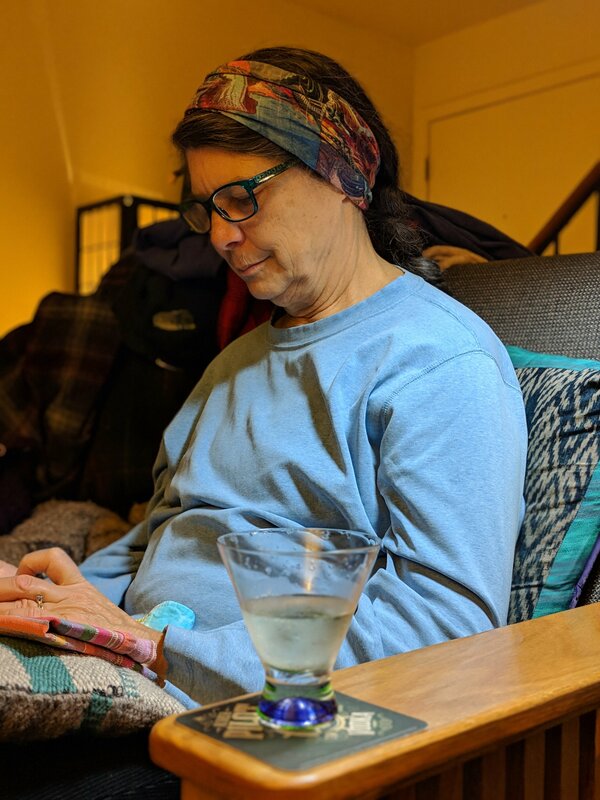 The glass in the picture holds a gimlet, but just a plain one. We’d need to get some cocktail olives if we want to make a gibson. We’ve put them on the list.